Match strike point on side of holder. Gift boxed. Ideal accessory for open fires! 72 matches per pack approx. 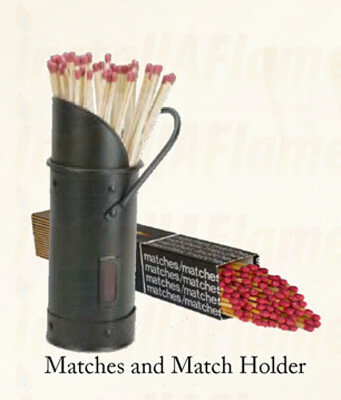 The Manor match holder is both a decorative and useful addition to your fireside. 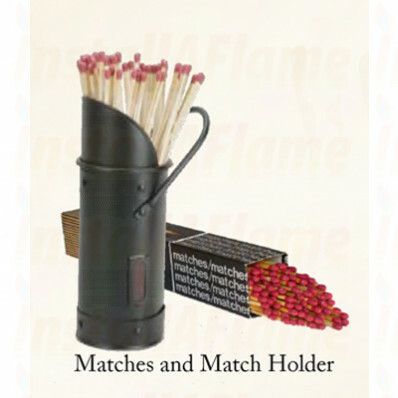 Each holder comes with a pack of extra long matches for quick, safe and easy lighting of the fire and plus there is an integrated strike plate for lighting the matches.